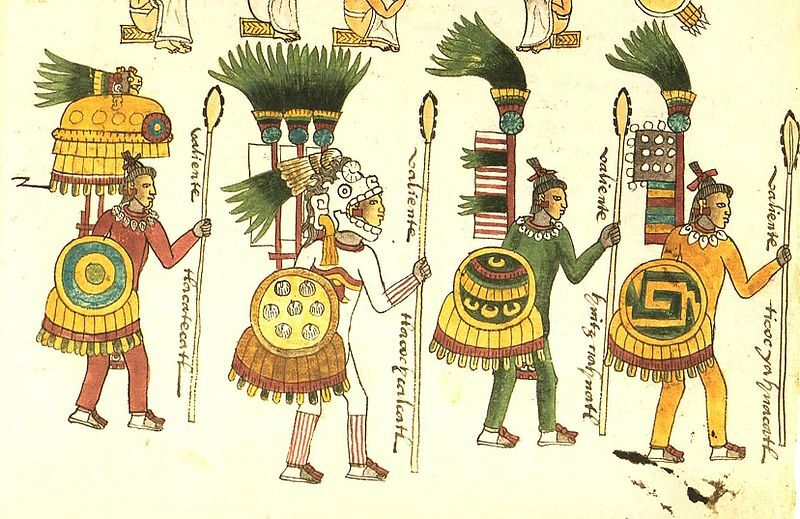 What mesoamerican culture used long, “pike-like” spears? A while back, I read about some Mesoamerican tribe or culture that armed many of its warriors with extremely long spears, that either the Spanish invaders or the article I read itself compared to the European weapon called a pike. However, I can't recall the name of the tribe that used this weapon, nor where I read about it. I've tried every combination of search terms I could think of to find this information again, but I haven't had any luck, so I'm turning to this community. Can anyone tell me what tribe/culture it was that used these weapons? Bernal Díaz del Castillo obliquely compared spears of the Chinantec people to pikes (at least in translation -- I didn't check the Spanish original) and remarked that they were longer than the Castilian equivalent. Not the answer you're looking for? Browse other questions tagged military weapons mexico civilizations mesoamerica or ask your own question. What was the standard pistol used in Yugoslavia during WWII? What was everyday life in Mexico like during the early days of WWII? How is it determined what Culture is Period/Dynasty/Civilization part of? What is the difference between a culture and a civilization?